I proudly photographed my swelling Conference pears and discovered an unwelcome visitor! A pear slug – the internet tells me these slugs are not good and I should get rid of them. Not quite sure how at this point. 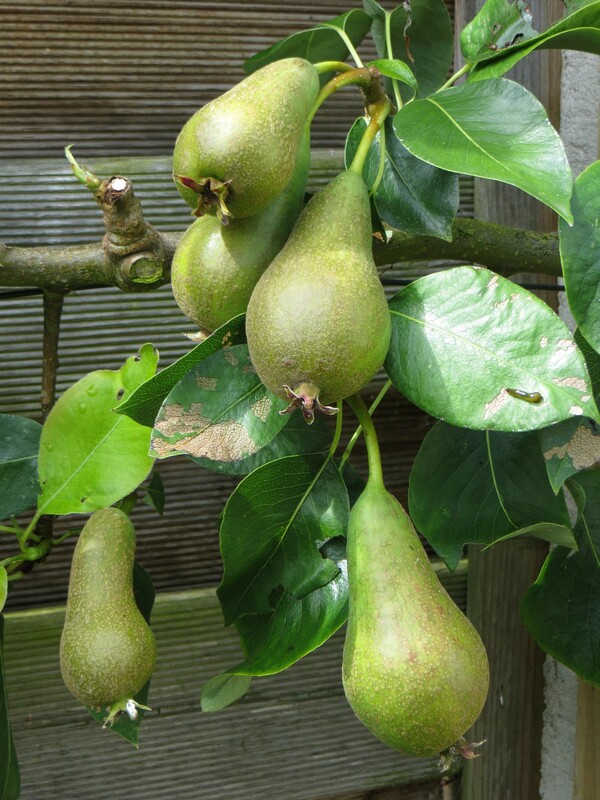 your pears look good, I should try to catc h as many slugs by hand as possible….